Arthi is a student of an accomplished teacher and performer, Smt. Rajeswari Satish, and she is blessed to receive guidance from Guru Sri. Neyveli Santhanagopalan. 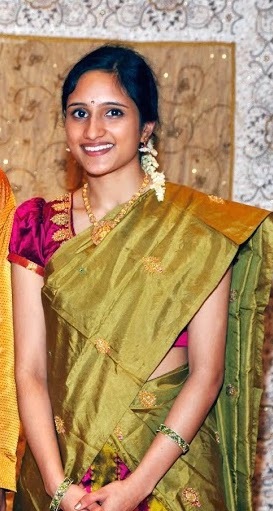 Arthi Suresh began formal training in Carnatic music under the tutelage of Smt. Kalyani Ramani, who hails from the Semmangudi musical lineage, and she is privileged to have additionally learned from Sri Vittal Ramamurthy, Smt. Seetha Narayanan and the Yuva Sangeetha Lahari teachers. Arthi has had opportunities to sing at many venues in the Tristate area and in Chennai during the December music season, and she has won several Carnatic music competitions in the United States, including Cleveland Aradhana's Concert Competition and CMANA's Junior Musician Award. Arthi is a third-year at Columbia University in New York, where she is studying Computer Science and Statistics.